(1) Notwithstanding section 541 of this title, an individual debtor may exempt from property of the estate the property listed in either paragraph (2) or, in the alternative, paragraph (3) of this subsection. In joint cases filed under section 302 of this title and individual cases filed under section 301 or 303 of this title by or against debtors who are husband and wife, and whose estates are ordered to be jointly administered under Rule 1015(b) of the Federal Rules of Bankruptcy Procedure, one debtor may not elect to exempt property listed in paragraph (2) and the other debtor elect to exempt property listed in paragraph (3) of this subsection. If the parties cannot agree on the alternative to be elected, they shall be deemed to elect paragraph (2), where such election is permitted under the law of the jurisdiction where the case is filed. (II) the retirement fund fails to be in substantial compliance with the applicable requirements of the Internal Revenue Code of 1986 and the debtor is not materially responsible for that failure. (i) Any distribution that qualifies as an eligible rollover distribution within the meaning of section 402(c) of the Internal Revenue Code of 1986 or that is described in clause (ii) shall not cease to qualify for exemption under paragraph (3)(C) or subsection (d)(12) by reason of such distribution. (II) to the extent allowed by law, is deposited in such a fund or account not later than 60 days after the distribution of such amount. (4) a debt in connection with fraud in the obtaining or providing of any scholarship, grant, loan, tuition, discount, award, or other financial assistance for purposes of financing an education at an institution of higher education (as that term is defined in section 101 of the Higher Education Act of 1965 (20 U.S.C. 1001)). (1) The debtor’s aggregate interest, not to exceed $23,675 in value, in real property or personal property that the debtor or a dependent of the debtor uses as a residence, in a cooperative that owns property that the debtor or a dependent of the debtor uses as a residence, or in a burial plot for the debtor or a dependent of the debtor. (2) The debtor’s interest, not to exceed $3,775 in value, in one motor vehicle. (3) The debtor’s interest, not to exceed $600 in value in any particular item or $12,625 in aggregate value, in household furnishings, household goods, wearing apparel, appliances, books, animals, crops, or musical instruments, that are held primarily for the personal, family, or household use of the debtor or a dependent of the debtor. (4) The debtor’s aggregate interest, not to exceed $1,600 in value, in jewelry held primarily for the personal, family, or household use of the debtor or a dependent of the debtor. (5) The debtor’s aggregate interest in any property, not to exceed in value $1,250 plus up to $11,850 of any unused amount of the exemption provided under paragraph (1) of this subsection. (6) The debtor’s aggregate interest, not to exceed $2,375 in value, in any implements, professional books, or tools, of the trade of the debtor or the trade of a dependent of the debtor. 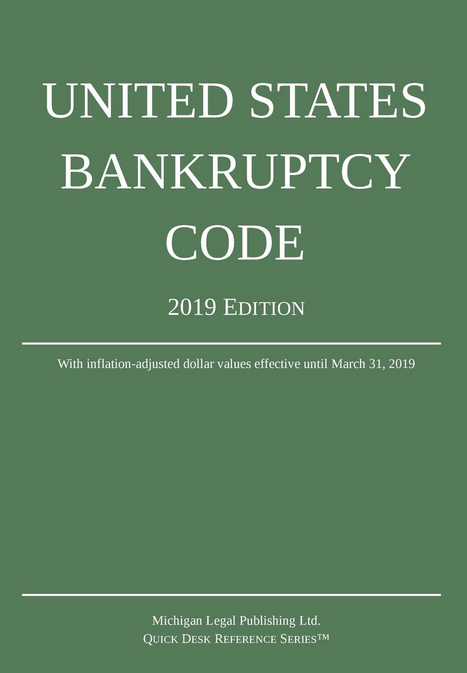 (8) The debtor’s aggregate interest, not to exceed in value $12,625 less any amount of property of the estate transferred in the manner specified in section 542(d) of this title, in any accrued dividend or interest under, or loan value of, any unmatured life insurance contract owned by the debtor under which the insured is the debtor or an individual of whom the debtor is a dependent. (e) A waiver of an exemption executed in favor of a creditor that holds an unsecured claim against the debtor is unenforceable in a case under this title with respect to such claim against property that the debtor may exempt under subsection (b) of this section. A waiver by the debtor of a power under subsection (f) or (h) of this section to avoid a transfer, under subsection (g) or (i) of this section to exempt property, or under subsection (i) of this section to recover property or to preserve a transfer, is unenforceable in a case under this title. (iii) professionally prescribed health aids for the debtor or a dependent of the debtor. exceeds the value that the debtor’s interest in the property would have in the absence of any liens. (B) In the case of a property subject to more than 1 lien, a lien that has been avoided shall not be considered in making the calculation under subparagraph (A) with respect to other liens. (C) This paragraph shall not apply with respect to a judgment arising out of a mortgage foreclosure. the debtor may not avoid the fixing of a lien on an interest of the debtor or a dependent of the debtor in property if the lien is a nonpossessory, nonpurchase-money security interest in implements, professional books, or tools of the trade of the debtor or a dependent of the debtor or farm animals or crops of the debtor or a dependent of the debtor to the extent the value of such implements, professional books, tools of the trade, animals, and crops exceeds $6,425. (xv) 1 personal computer and related equipment. (v) a computer (except as otherwise provided for in this section), motor vehicle (including a tractor or lawn tractor), boat, or a motorized recreational device, conveyance, vehicle, watercraft, or aircraft. (2) the debtor could have avoided such transfer under subsection (f)(1)(B) of this section. (2) the trustee does not attempt to avoid such transfer. (1) If the debtor avoids a transfer or recovers a setoff under subsection (f) or (h) of this section, the debtor may recover in the manner prescribed by, and subject to the limitations of, section 550 of this title, the same as if the trustee had avoided such transfer, and may exempt any property so recovered under subsection (b) of this section. (2) Notwithstanding section 551 of this title, a transfer avoided under section 544, 545, 547, 548, 549, or 724(a) of this title, under subsection (f) or (h) of this section, or property recovered under section 553 of this title, may be preserved for the benefit of the debtor to the extent that the debtor may exempt such property under subsection (g) of this section or paragraph (1) of this subsection. (j) Notwithstanding subsections (g) and (i) of this section, the debtor may exempt a particular kind of property under subsections (g) and (i) of this section only to the extent that the debtor has exempted less property in value of such kind than that to which the debtor is entitled under subsection (b) of this section. (2) any costs and expenses of avoiding a transfer under subsection (f) or (h) of this section, or of recovery of property under subsection (i)(1) of this section, that the debtor has not paid. (l) The debtor shall file a list of property that the debtor claims as exempt under subsection (b) of this section. If the debtor does not file such a list, a dependent of the debtor may file such a list, or may claim property as exempt from property of the estate on behalf of the debtor. Unless a party in interest objects, the property claimed as exempt on such list is exempt. (m) Subject to the limitation in subsection (b), this section shall apply separately with respect to each debtor in a joint case. (n) For assets in individual retirement accounts described in section 408 or 408A of the Internal Revenue Code of 1986, other than a simplified employee pension under section 408(k) of such Code or a simple retirement account under section 408(p) of such Code, the aggregate value of such assets exempted under this section, without regard to amounts attributable to rollover contributions under section 402(c), 402(e)(6), 403(a)(4), 403(a)(5), and 403(b)(8) of the Internal Revenue Code of 1986, and earnings thereon, shall not exceed $1,283,025 in a case filed by a debtor who is an individual, except that such amount may be increased if the interests of justice so require. (A) The limitation under paragraph (1) shall not apply to an exemption claimed under subsection (b)(3)(A) by a family farmer for the principal residence of such farmer.